Amelie is a PhD student at the University of Sydney, researching native bees in community gardens and bushland. She is passionate about environmental education through participatory community science. Bees that don't sting? Bees that burrow? Do they make honey and pollinate eggplants? Learn about our native pollinators through musical, theatrical art-making fun. 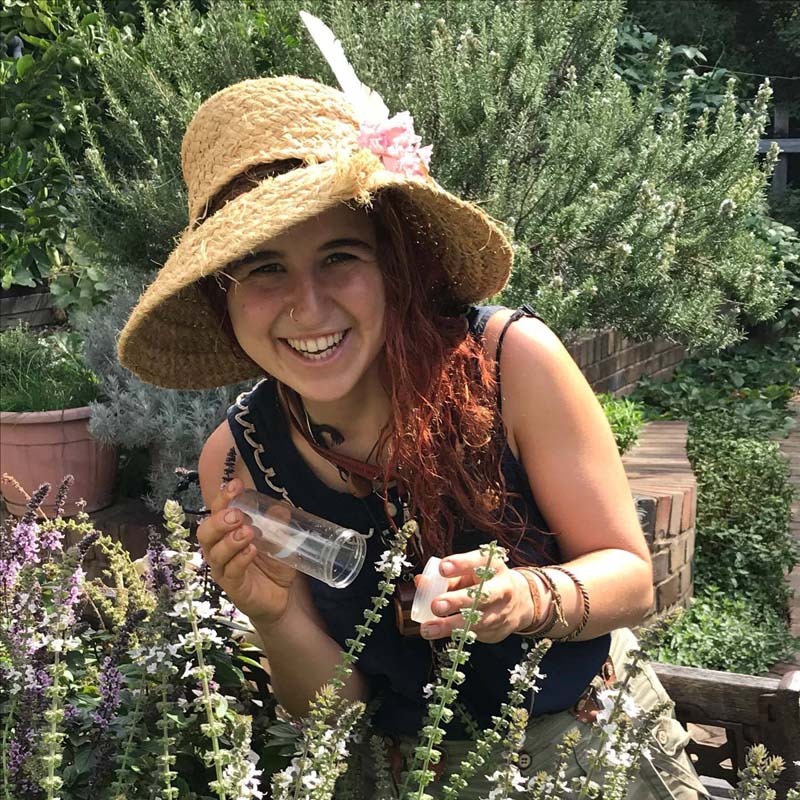 Amelie works with community gardens, primary schools and local councils across greater Sydney, leading the pollinator walk at the Sydney park Bioblitz and regularly facilitating public native bee ID skillshares to learn how to identify native bees down to species. Be it in the garden or in the lab, native bee ecology is fun to share!